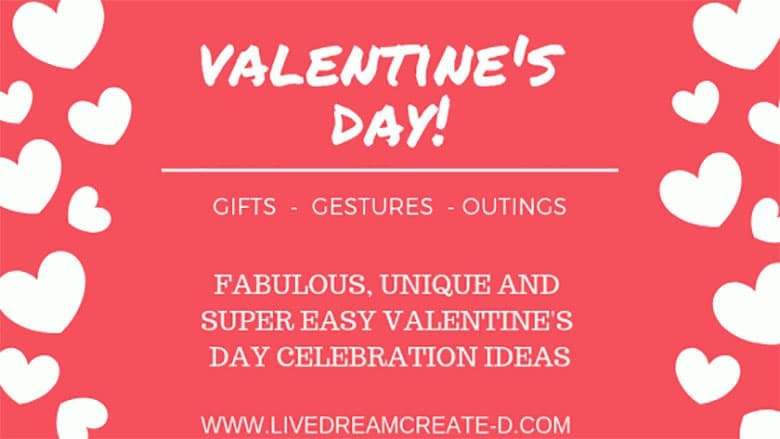 Valentine's Day Gifts, Gestures and Outing Ideas! Celebrate this special day without spending a tone of money! 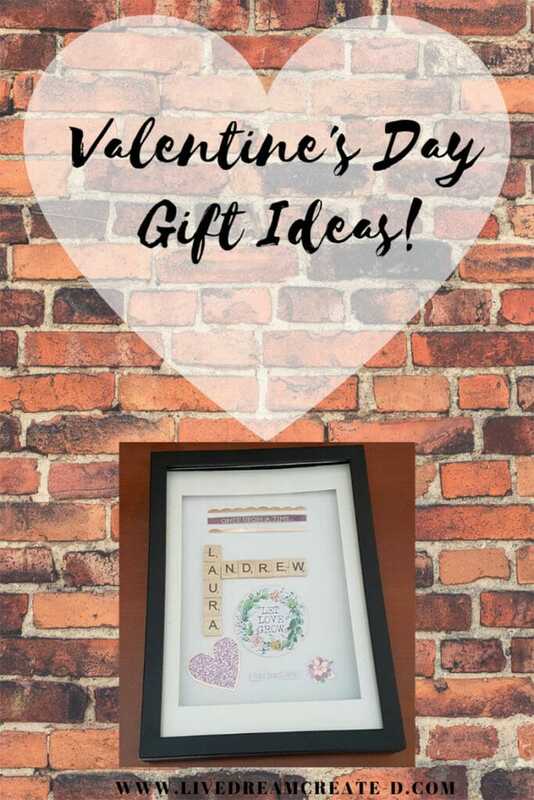 Valentine’s Day is approaching and before you know it the shops and online stores will but full of gift ideas and much much more. While I personally love the idea of Valentine’s Day I am not really into the over the top commercial side of things! What I mean to say is that I love the idea of celebrating love and romance but I do not want to break the bank doing so. There are so many restaurants and shops that sell at a much higher price on that one day and that is ridiculous! 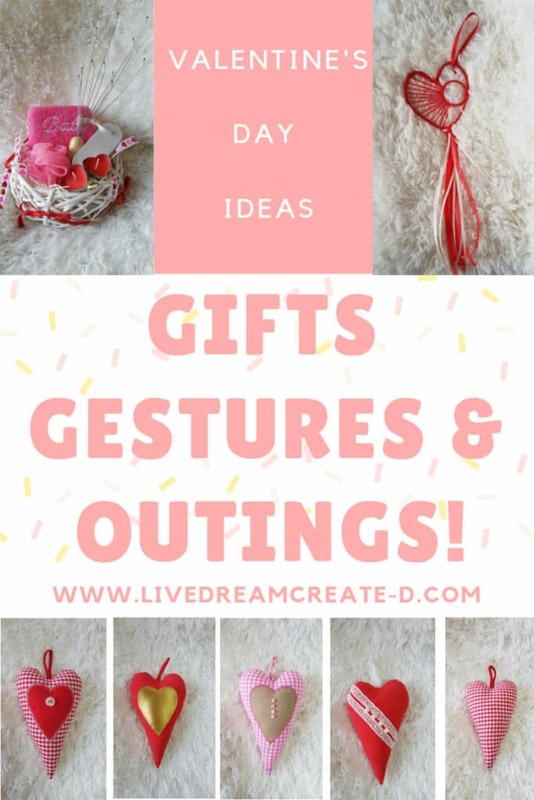 Therefor I decided to write this post to give you all ideas to celebrate Valentine’s Day without breaking the bank! Before I get into the celebratory ideas for Valentine’s Day I do want to give you a brief history of how this day came about celebrating love and romance. It was first known as Valentine’s Day in the 14th century through the tradition of courting a woman. It was within Geoffrey Chaucer’s circle that this concept of love bloomed. Geoffrey Chaucer was an English poet and writer. By the 18th century, Valentine’s Day became a day where lovers expressed their love for one another through flowers, chocolates and greeting cards (which were known as valentines). What got me interested in the history of Valentine’s Day was a story I once heard of. A story I saw on a documentary that had shown that back in the 14th century, a man had sent a letter to his loved one expressing his love and affection for her. He was courting her and so ended the letter with, ‘Be my Valentine’. There are so many legends and stories of how Valentines came about that you can read more about the history and legends here. Well enough said about the history, let’s move onto my ideas to celebrate Valentine’s Day. There are a tone of gift ideas for both him and her but don’t you want something more personalized and tailored to their needs, wants or likes? I know I would. This is why I have a few suggestions which do not break the bank. ~ Personalized Mug or Water bottle either with their initials or a quote or saying that they often say. < A scented pillow for their bedroom or car. These are handmade and can be bought from yours truly. See designs here and contact me for prices and shipping. ~ Basket gifts : A small basket full of his or her favourite snacks and drinks or cosmetics. Sometimes a handmade gift has more weight and is more compelling to someone as it shows more thought was given to the gift. ~ How about a personalized key ring with initials, kid’s initials or even a heartbeat engraved. These are the easiest to do as you don’t need to spend money or even if you do it is very little. 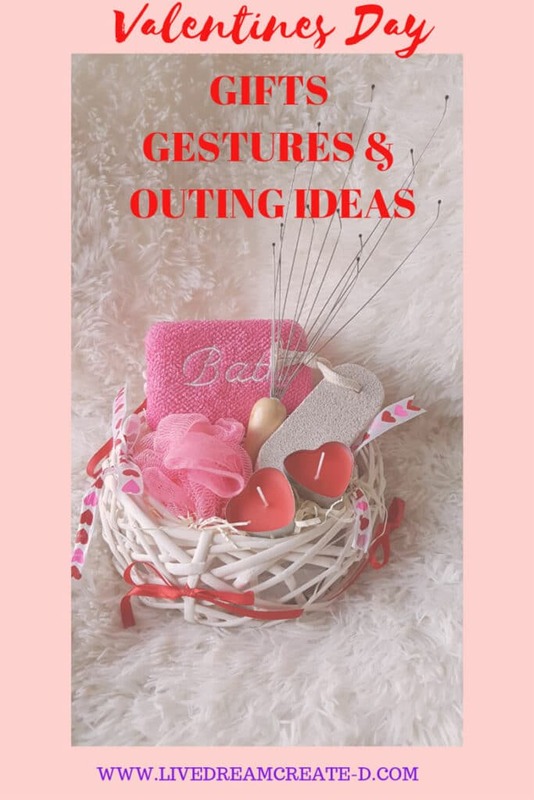 Gestures can be the simplest of thing like making him/her a cup of coffee, instead of them usually making you coffee or making breakfast in bed. ~ Making sure the radio is set to their favourite station so when they turn it on they get a lovely surprise that you were thinking of them. ~ Ask them how their day was and really sit down and hear what they have to say. This following one is something I heard a friend do for his wife to lift her spirits up after some hard times she was going through. I did this a couple of times and the reaction you get from your significant other is priceless. ~ Leave small notes around the house. For example : in their mug saying ‘good morning’, on their mirror saying ‘you are beautiful’, on the steering wheel saying ‘have a lovely day’ and so on! < Make a home cooked meal either for lunch or dinner. In other words, a creative way to spend Valentine’s Day is the way you choose your outing. For instance it may be something that is not so traditional as a dinner at a restaurant. Some people may choose to go out another day rather than on this specific date as prices are usually very steep. Others may prefer to be more creative by stay within a budget but go out on the actual day. < If you have a holiday house or cabin in your family maybe you could go out there for Valentine’s Day like a small getaway! ~ You could also do a day trip to the snowy mountains or you can go to the sunny beachside. It all depends on where you live! Take it easy and relax somewhere, have lunch, talk, maybe do a fun activity too. These are only a few ideas for you to choose from or give you inspiration. If you have anything to add to this please do so by commenting below. I love all the outing ideas! I’m not big on gifts for Valentine’s Day, so outings are perfect! I am so glad you found some ideas here Lisa. I just love it when you guys get inspiration and ideas from my blog. Thank you for your support and stopping by. Yay! I feel that by celebrating this way you are making it more special as you are making more memories with your loved ones, right? !